SEPSIS is a potentially life-threatening condition; however, it can be easily treated if caught early. If your child is unwell with either a fever or very low temperature (or has had a fever in the last 24 hours), just ask: could it be SEPSIS? Might have SEPSIS. Call 999 and just ask: could it be SEPSIS? Might have SEPSIS. If you're worried they're deteriorating call NHS Direct Wales on 0845 46 47or see your GP. 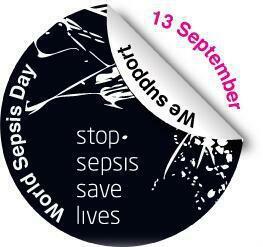 Please spread the signs to friends and family to keep them safe from Sepsis.